and any other dry powders or close-grained granulates. The discharge time of the wagon is 60-120 minutes depending on the characteristics of the transported material and the place of discharge. 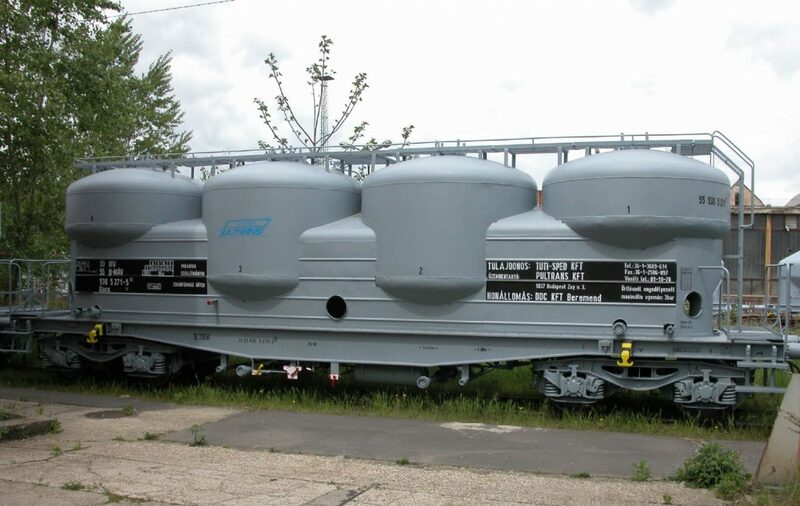 The connection points of the discharge pipes are located at the bottom on both sides of the wagon. The compressed air pipe and the material delivery pipe must be connected separately to each tank. The wagon is not equipped with butterfly valves. The loading proceeds by way of gravitation; the diameter of the loading holes is 400 mm, their height measured from the rail crown is approximately 4140 mm and the distance between centres from each other is 2.9 m.